This is the latest addition to the growing lunchbox range by Black+Blum. The two pots, which make up Lunch Pot, have an ingenious watertight locking seal. Its' design, inspired in India, makes it easier for transportation and easier to like. It is the ideal lunch box for home-cooking food lovers taking its' singular smell everywhere. Inspite its' looks, it was not designed to carry just liquid form food. It has two different sized pots; one with 300ml that fits in a bigger one, carrying 500ml. 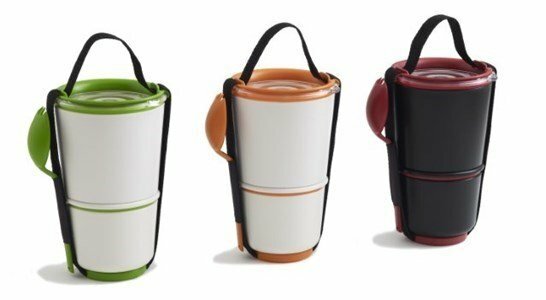 It allows you to separate your yoghurt and granola, or noodles and fruit salad and is the perfect vessel for carrying your breakfast or lunch to work. 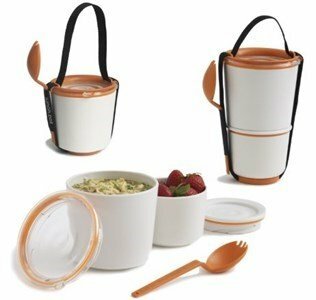 The Lunch Pot also includes spork and carry strap.